Configure, Compare, Price, & Buy from 20,000+ sheet pile combinations with the option of clearly defined delivery. 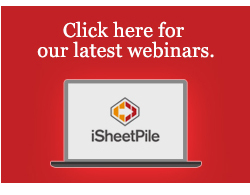 ISheetPile is pleased to announce that our educational webinar programs for the first half of 2014 have been posted. In addition to our regular experts on sheet piling systems (Gerry McShane and Achim Wünsch) we are delighted to welcome Jukka Ahonen, CEO with WellTech Finland to join our list of speakers. Jukka has over 30 year expertise in developing advanced DTH drilling systems and introducing innovations to improve productivity and cost reduction. Jukka will provide state of the art knowledge on construction methods, equipment and best practice on advancing O-Pile systems into any soil or rock strata. The schedule of webinars for the first half of 2014 is on line and registration is currently open. First select the product series and then use the drop down menu to find specific product name. iSheetPile is a groundbreaking online tool to help you compare, configure, and map readily available steel sheet pile systems in a given market via their bending moment capacity in order to get the most efficient use of steel for your application. Would you like our sales or technical support to provide you with more information? To send us a message please use the contact request form to ask us about prices, technical questions, offer requests etc. By using the form we will ensure that your message will be handled promptly. Our sales and technical people are dedicated to contact you within 24 hours of receiving your message and can give you a 1 on 1 tour of isheetpile.com, we can assist you in Spanish, Russian, German, Dutch, Mandarin and Japanese. Please, provide either your phone number or your email address. Thank you for submitting your question. Someone from iSheetPile will be in contact with you shortly. 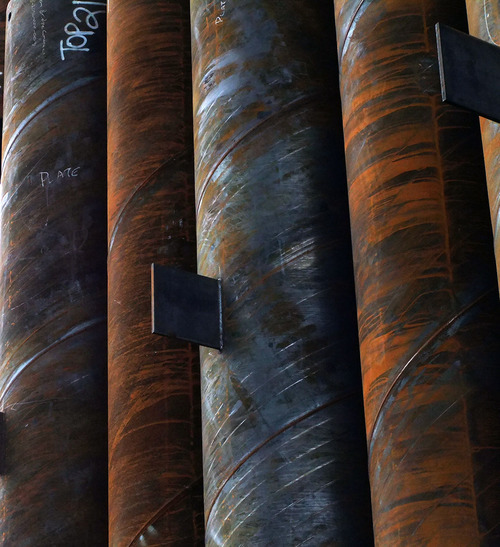 Enter the outside diameter of desired pipe as well as pipe wall thickness to find and compare its O-sheet pile wall properties. Enter Wall length, Wall height and exposed Wall height then select products. Input a design moment, steel grade, and safety factor and this tool will calculate a corresponding section modulus value. Please note that this result is calculated using design moment only and no other engineering factors. For more information on calculating section modulus and design moment please see our article: Design and Calculations. This tool is in maintenance, sorry. Please try later. Enter your wall dimensions and the values below will adjust automatically.